What makes a home is clear to you. What makes ceramic tile may not be. Your home consists of what’s under your roof, but don’t forget what’s under your feet. Floor coverings also have a huge influence on your home and home life. They impact interior beauty, design, décor, comfort, livability and upkeep, thus floor coverings can make, or break, a home. 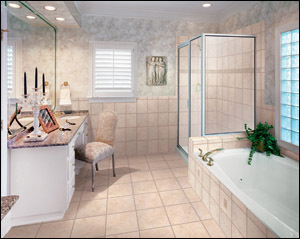 In this section we explain how ceramic tile is manufactured. This information can be very advantageous because it enables you to understand the product’s materials right from their birth. Being familiar with ceramic tile construction also helps you understand and evaluate its performance aspects: why certain ceramic tile floors wear better and longer. Tile combines earth and fire. The main ingredients of ceramic tile and its general manufacturing process have not changed that much throughout the centuries. 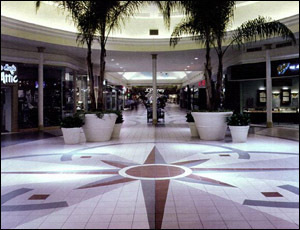 The world of ceramic tile has two hemispheres. Step 1 is elemental and earthy. Step 2 introduces mud into the mix. The clay and mineral mixture is blended and mixed into a semi-fine powder. Step 3 applies pressure to the process. The ceramic tiles are now fired in the kiln at temperatures around 2,000 degrees Fahrenheit. 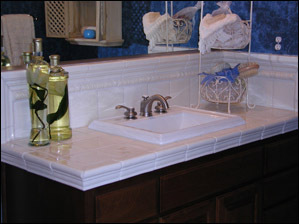 An elegant, durable alternative is porcelain. Aside from the two types of ceramic tile, glazed and unglazed, there is another category that continues to gain popularity – beautiful, elegant, porcelain tile. Porcelain tile is made up of 50% feldspar and is fired at a much higher temperature than regular ceramic tile. This makes porcelain tile much harder and denser than other tile products. 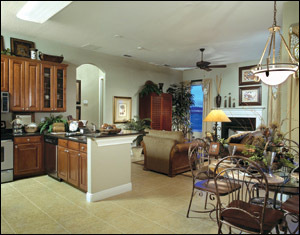 A rating system is called for and that’s exactly what the tile manufacturers have provided. Now let’s take a look at that system. Got traffic? Here’s your ticket to smarter shopping. Most manufacturers will have a rating system that is based on or supported by the American Society for Testing & Materials (ASTM). Many times you can find these ratings on the tile sample or in the product catalog. 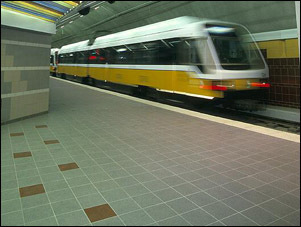 The most common system rates ceramic tile abrasion resistance or the overall durability of the tile. There are 5 classes you should be aware of. That’s a brief explanation of ceramic tile types, manufacturing processes and rating systems. We hope that the information we’ve featured here leads you to a better understanding of how this beautiful and versatile product is created, and underlines the fact that ceramic tile flooring can help make your home.